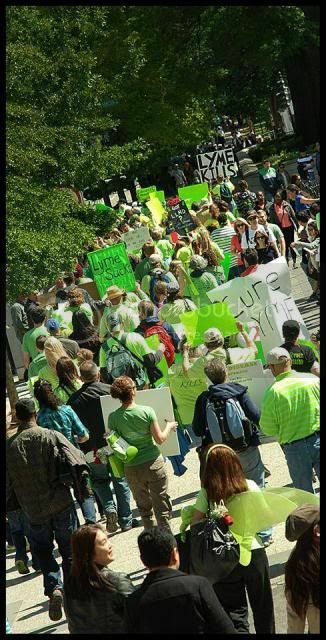 Why has the Seriousness of Lyme Disease been Concealed from the General Public? Amidst the storm of controversy over Lyme disease, there remains the cold, hard facts: it’s not curable with merely 3-4 weeks of antibiotics. So how come nobody’s talking about it? What’s the deal? What I’ve learned appalls and amazes me. I’ll explain this as easily as I can. According to the International Lyme & Associated Diseases Society, Lyme is the fastest growing infectious disease in the United States today, affecting up to 300,000 Americans each year. 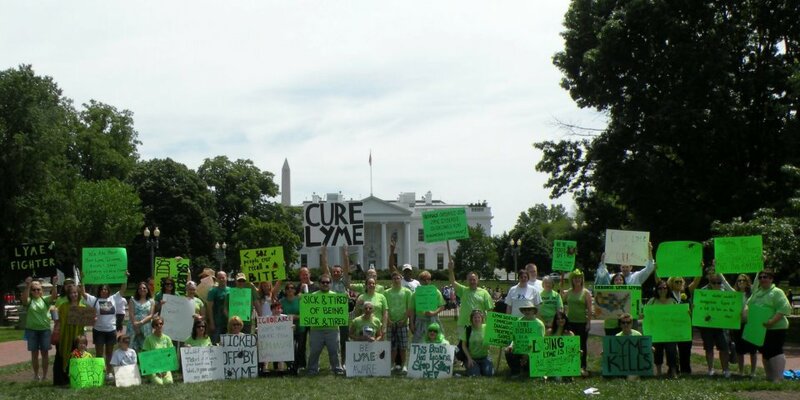 Lyme Literate Medical Doctors (LLMD) that treat Lyme disease treat it aggressively & have special training to do so. They use long-term antibiotics, unlike traditional MD’s or Infectious Disease Doctors’s (ID Doctors). For this reason, they’ve been targeted by medical boards and insurance companies because they don’t adhere to the IDSA’s (Infectious Diseases Society of America) guidelines for treating Lyme. Here’s the real stickler: LLMD’s could lose their licenses. The result is preventing many sick patients from getting the treatment they really need, thus leading to further debilitation. Then what happens? The Infectious Disease (ID) doctors end up making the Lyme patients feel like they’re not going to help them. It’s almost like they make themselves the foe of the patient, instead of the advocate. The result? Lyme patients don’t usually have good experiences with Infectious Disease doctors nor are they effectively treated. The big whammy is this: Lyme is in the middle of a huge medical / political/ government controversy. The medical community is totally divided over whether Lyme disease can become chronic; meaning if a person continually has symptoms, complains of re-occurring problems, or has the actual physical proof to show it, the other side of the medical community (mainly ID & regular MD’s who support the IDSA) say the patient is probably/possibly infected with another illness, which starts a whole new ordeal of testing, etc. for some other disease. You know what that does? For one, it continues the cycle of billing insurance companies for endless tests, putting money in someone elses’s pockets (Get it?). But worst of all, it slows down the process of treating Lyme (for what it really is) and gives the disease more time to advance to the chronic stage! It really boils down to this: the IDSA appears to be the organization who says that Lyme Disease is rare and can be treated and cured through the IDSA standard guideline of treatment., which is a short course of antiobiotics from 2 to 6 weeks maximum. The medical/political/government controversy ends up putting the ID doctors on one side while the LLMD’s , who are literate in the knowledge of the disease and treat Lyme patients, end up on the opposing side of the fence. It shouldn’t be that way. Who would you rather have treating you for Lyme Disease: a doctor who has intense specialized training for the illness or a physician who covers a diverse number of infectious diseases, with no priority for Lyme? In addition, there’s an even bigger controversy concerning which labs are accurately testing for the Lyme antibodies. An individual preferably needs a Lyme disease test through a labratory that specializes in Lyme. But the testing centers that the major medical community use are much less accurate. The CDC won’t count the test as a ‘positive’ unless a certain number of bands show ‘positive’. This means that if only one or two bands show positive, and it’s not the bands that the CDC and the IDSA have selected to base their criteria, then it’s negative. According to Igenex, a Lyme specialty testing lab, “……INDETERMINATE DOUBLE STARRED BANDS IN A NEGATIVE REPORT MAY INDICATE CLINICAL SIGNIFICANCE.” The most significant statement on the test is at the bottom: ” Diagnosis should not be based on laboratory tests alone. Results should be interpreted in conjunction with clinical symptoms and patient history.” Let me mention that this statement is also supported by the CDC (Center for Disease Control). The truth is that NONE of the testing is accurate, but Igenex proves to be the most accurate since they test for ALL the bands involved, not just a choice few selected by the IDSA (Infectious Diseases Society of America). So on and on it goes. here’s several outstanding links from my home file collection; really tell it like it is! explaining everything about lyme, long-term antibiotics vs. short term antibiotic; Plum Island’s bioterrorism developed lyme; charging our LLMDs by state’s health depts. Trying to take away our llmd medical licenses, etc! Thank you Betty!! All help is needed here.